Restored ZAZ 965 1969 year. Restored VOLVO 144 1974 year. BMW E65 After collision repair. Mercedes W126 repainted. USA model. Dent puller is a spot welding device that allows to perform complex repairs to body parts by the most modern technologies, restoring the damaged parts form as close to the original appearance. In this case, it is a black metal parts. Photo shows a car with a damaged door and rocker panel. Using the dent puller possibilities offered, by both these doors form was restored without damaging the paint inside the door and removing the door tirm, which reduces the time spent at the disassembly / assembly and parts inside repair painting. The rocker panel form has also been restored in the same way. 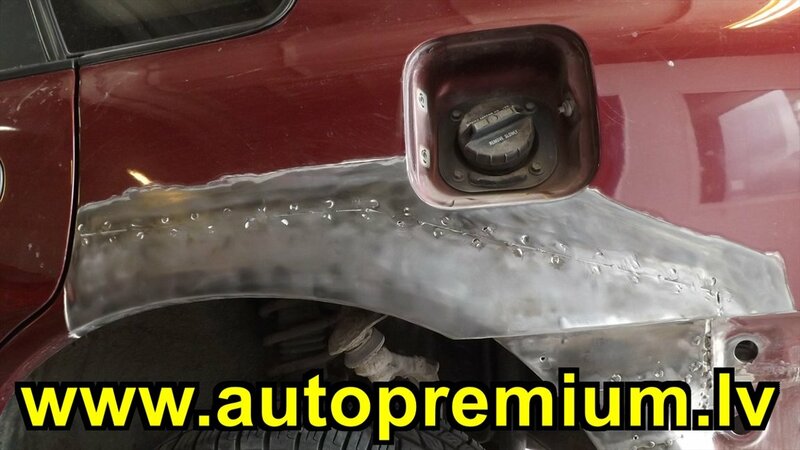 Without dent puller such work would be done by cutting the damaged areas and welding of either the same fragment of damaged parts already straightened form, or by creating a new rocker panel profile. Using dent puller such repair is not tampered with the car overall strength of the structure. It is of course also followed the work culture that relates to the interior. Ten minutes thorough interior covering prevents the customer's disappointment all contaminated and full of dust interior. 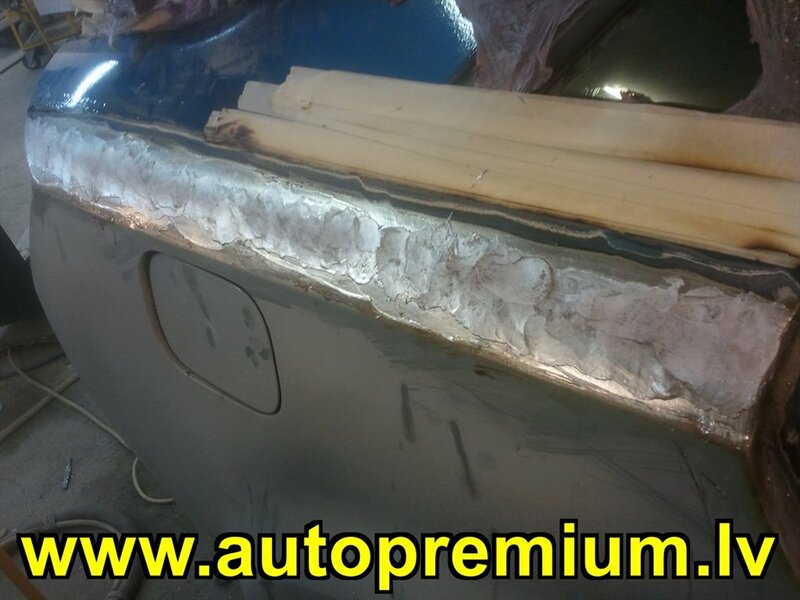 Auto Premium- Your partner in car body repaires. 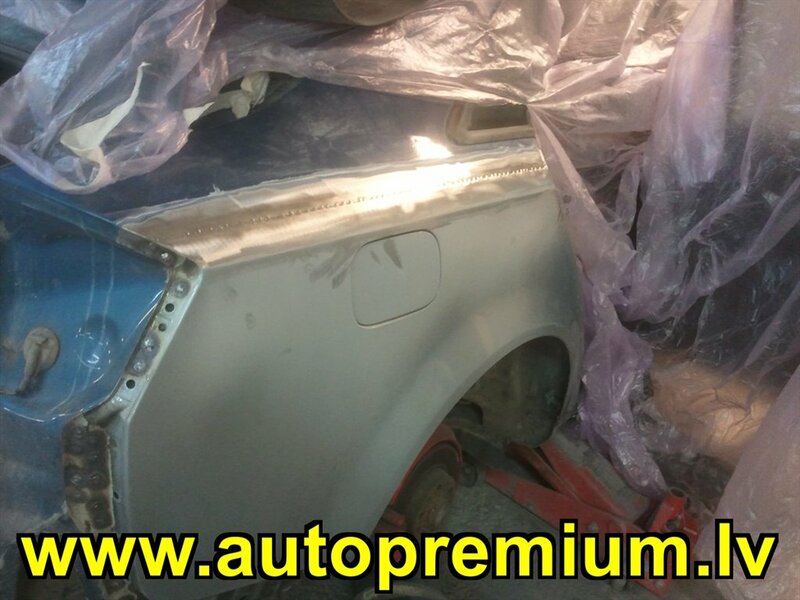 This method is widely applied automotive restoration and repair ensure the quality of complex cases. 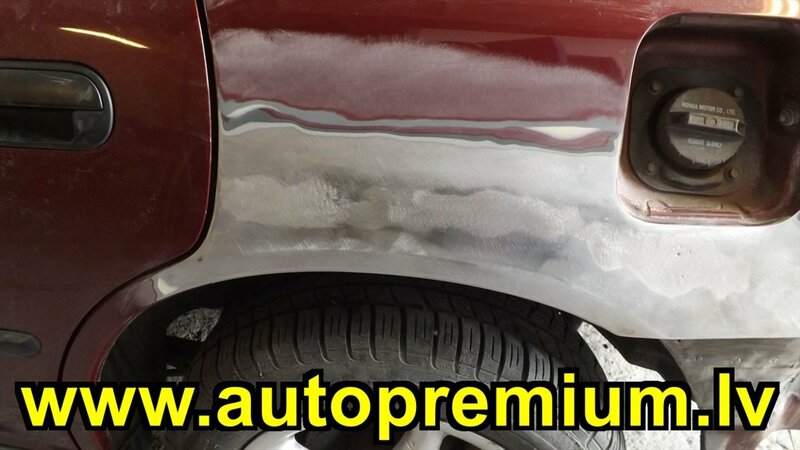 As well as today's auto body repair is important warranty and quality, then this method is used not as old cars. Little insight tinning page. Often, car body repair faced with a situation where a part needs to be changed, which is not simply to screw of like the bumper or a door, but it is welded to the car. So in this situation, depending on the complexity of the parts can be changed by trimming and adding new component. The example shows a car with a damaged rear wing. The picture shows the swapped component and the weld seam. Taking into account the length of the weld, weld made pursuant technology to avoid any damage to the metal structure. SIA "Auto Premium" is one of the few workshops where welds are coated with body solder, preventing cracks and corrosion occurrence of weld locations. After then body solder is sanded to form a smooth component connection. Subsequently further processes of painting and car transfer to the customer. Here you can see a car with the left rear arch been changed some time ago skipping body solder process. Weld instead began to crack and rust. After cleaning, parts repairs a place just filled with body solder. This picture shows 1980 Mercedes Benz wing having changed the damaged part and the weld is filled with body solder, creating the ideal surface. 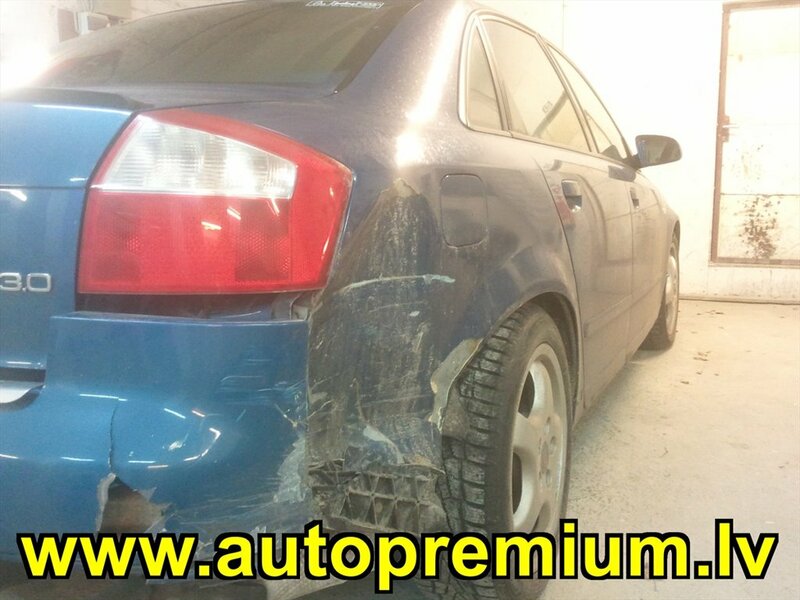 SIA "Auto Premium" Your partner in car body repaires.